GAF's CARE Team demonstrates how modern roof deck protection materials fare vs. traditional tar paper on a roof deck. Above All Roofing Co. is a preferred vendor for Owens Corning. We are a family owned and operated contractor located in Vacaville, California; serving the surrounding counties and the Bay Area. We are here for all your roofing needs. We specialize in everything from New Roofs, Repairs, Inspections, Maintenance, Seamless Gutters, and Insulation for Residential and Commercial properties. Call us today for a free estimate! If you are building a home, it is important to know the importance that gutters and downspouts play in keeping your home dry and free from moisture problems. While it may seem like an area to cut costs, having the proper gutters and downspouts can save you a lot of time and money in the future. Use these tips to help you gain and understanding of how they work, and just why they are so important. When it rains it the water flows down your roof and lands right at the base of your house. While some water is acceptable, gutters are designed to move the bulk of the moisture away from your house and underground or into an approved drainage collection site. With gutters, as the water moves down your roof it drains down into your gutter which acts as a sort of canal for the excess water. The water then follows a path that takes it around to a downspout and then away from your house. It is a simple procedure that will keep your house dry and prevent the malicious effects of water on your foundation and your basement. If your gutters and downspouts become clogged, using special cleaners and tools with extensions is perfect for removing the debris that will naturally occur over time. This will ensure that your gutters and down spouts continue to work effortlessly for years to come. For proper maintenance they should be cleaned at least 2 times per year, preferably in the spring and fall. While they are simple in function, they can be very challenging to install. Choosing a professional for installation helps remove the headache, and insures that your gutters are installed properly. If you choose to install them yourself just make sure that you read the installation instructions carefully. Also, make sure you have several people there to help you as this job is best done when you have a team of 3 or 4 people to help. Don't let water issues create headaches and cost your thousands of dollars. Make sure you have properly installed gutters and downspouts to help your home stay dry for years to come. This video from Certainteed, our trusted source for quality shingles, explains the importance of and the how-to of selecting the right style shingle for your new roof. With the winter months approaching, numerous residential roofing companies are receiving a number of enquiries regarding repairing leaking roofs. Roof leaks should never wait until the last possible moment as they can cause devastating effects, not just to the roof of the house, but the interior and structure of the home as well. If a leak remains undetected, it can grow, causing materials surrounding the leak to begin to rot and sag. If the leak is able to gain access into the inside of the home, it can cause unhealthy mold to form. In both these scenarios, it is more expensive to fix the leak after serious damage has been caused. It is less expensive to fix a residential leaky roof right at its onset. As just mentioned, the main reason why individuals need to repair their leaky roof as soon as a leak is noticed is that it can result in hefty charges if left alone. Think about it this way, when a person gets sick, they immediately treat it so they symptoms do not get worse. If symptoms get worse, it could mean expensive doctor visits and even more expensive medications. The same should be considered with a roof. At the first sight of a leak, homeowners need to call a professional, licensed and bonded roofing company to fix the leak. A small leak will cost mere pennies as opposed to what it will cost to replace part of the roof as well as damage done inside the home as well. Another reason why homeowners need to repair their roof when it leaks is because persistent leaks can cause the creation of mold. Not only is mold extremely dangerous to the health and wellness of those who live inside the home, it can actually destroy the home and cause the roof to sag. Removing mold is very expensive, especially when rotted drywall, beams, window frames, studs, trusses and ceilings are all damaged due to mold. Unfortunately, many homeowner insurance companies do not pay for damage caused by mold from roof leaks. Individuals should take a good hard look at their insurance policy because most likely there is a clause limiting or even excluding payments for home-related issues caused by mold. This leaves homeowners footing the bill when they have roofing repair companies and mold removal companies coming in to complete a job to make the house a safe place to live in once again. Do not wait for the water to leak down before taking action. If a homeowner notices discolored patches on their ceiling, take action fast before the entire frame starts to rot. The National Roofing Contractors Association recommends that homeowners have their roof inspected twice a year. One of the things they will look for are leaks. Once a leak is noticed, the roofing company will immediately repair it to ensure that all items under the roof, including floors, walls, ceilings, personal effects, and furniture, are not damaged. Why Do You Need a Roof Inspection? A common mistake that homeowners make is putting off periodic roof maintenance. By getting a roof inspection done at least once every year, you can be sure to prevent problems before they start. Hiring a reputable roofing contractor can really help you to understand the types of issues that can be avoided. Even on a newer roof issues like scraping tree branches or clogged gutters can affect your roof integrity. These are simple fixes and you can spend a little bit of money now to avoid a larger financial outlay at a later time. A proper inspection of your roof should always be thorough. You want to make sure that your roofing company inspects shingles, flashings around chimneys and vents, seals on certain types of roofs and much more. A good roofing contractor should be able to give you the exact description of precisely what is analyzed during the inspection process. It is always a good idea to find a roofer who will offer you a free estimate or consultation as well, so you can be clear on all of the charges and how long the inspection may take. The main thing that an inspection can discover is unwanted roof leaks. You may have water coming into your attic and you do not even know it. By resolving these leaks early you can be assured that you are giving your roof the longest life expectancy possible. Even small leaks can go unnoticed for a significant amount of time and can lead to trapped moisture in areas of your ceiling. This moisture can breed bacteria and mold and can become a health risk to you and your family. The good news is that you can avoid all of these issues very affordably by finding a trusted roofer to fix all of these problems for you. In addition to homeowners, commercial business owners should also make sure to get periodic roof inspections. 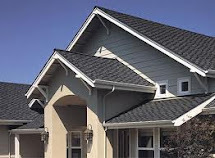 A reputable roofing company will have experience with all types of commercial roofing including those in apartment complexes, retail shopping locations, restaurants, retirement homes, factories and warehouses. In addition to inspections, your roofing company can also repair all damages whether they are caused by vandalism, bad weather or shoddy repair work from the past. Make sure that when you choose a company for your roofing needs, that they stand by their work in some manner, such as by providing a warranty. "Why should I spend the extra money to get seamless gutters? Are they really that much better for my home?" The answer to those questions would be a resounding YES! Traditional gutters have a variety of seams and joints that become vulnerable the longer they are attached to a home. These seams are the main points where leaks begin, and these leaks can eventually lead to expensive water damage, rotting, rust, mold and other nasty problems. Seamless gutters, however, are made using special equipment that allows them to be formed without any of these vulnerable seams. Their one-piece designs are stronger and better equipped to deflect rainwater and snow away from your home's foundation. Seamless gutter systems also offer a variety of other benefits which are outlined below. As you can see, seamless gutter systems have a variety of capabilities that enable them to offer top-quality protection for your home. Keep in mind that every system is not created equally, so be sure to do your research before choosing one for your home. Seamless systems are more expensive than traditional gutters and they require professional gutter contractors to install them, so you want to make sure you are getting a top-quality product before you spend the extra money. In addition, it is important to determine whether or not your home really needs a seamless system before you make the investment. If you live in an area that gets very little precipitation, the extra money is probably not worth it. But if you get a good amount of rain, snow and other nasty weather every year, it may be worthwhile to give your home the extra protection. Learn more about seamless gutter systems to determine if they are right for your home. Find a gutter contractor in your area that is well-qualified to install seamless gutters. Do your research to make sure you are getting the best deal and most quality product possible. Roof Cleaning - Do You Need a New Roof? Your roof is a central feature of your home's structure and offers your family and belonging protection against inclement weather. Cleaning, repairing, or replacing helps to ensure that your investment in your home is safe, and regular roof maintenance is crucial. Roof cleaning is a process through which mould, green and black algae, and fungi are removed in order to prevent decay or damage. Alternatively, if your roof has reached a state of disrepair, you may be in the market for a new one. So how do you decide whether cleaning is sufficient or if you'll need a new roof? First, let's talk a little bit about roof cleaning. Regular maintenance of your roof helps to keep materials in top condition so that you can prevent the need for repairs and replacement. Without question, elements such as UV rays, organic materials such as algae and fungi, and mould will cause the deterioration of your roof over time. Even though there are aesthetic reasons to have your roof cleaned, removal of fungi and algae protects materials and extends the life of your roof. Cleaning usually involves the use of various chemicals to kill growing organisms, but there are environmentally friendly alternatives. For example, pressure washing can remove stains while reducing your environmental impact. Roof cleaning is a large industry today and there are sure to be many contractors in your area that provide cleaning services. In many instances, cleaning and repair will be sufficient to maintain your roof. Nevertheless, there are a number of warning signs that you may need to replace your roof in the near future. Among the first indicators that you will need a new roof are ceiling spots. Leaks in your roof eventually allow water to drain into your home damaging wood and surfaces. You may have even noticed water causing paint on your ceiling or walls to bubble. If you have one or two ceiling spots, you may be able to simply repair your roof, but multiple ceiling spots are likely an indication that you need a new one. Another indicator that your roof needs repair is missing, damaged, or curling shingles. High winds can tear shingles from your roof, and rain can cause shingles to break or curl. As shingles absorb water, they become less effective materials for protecting your home. Similarly, shingles may start to rot as they absorb water and become ideal grounds for the growth of algae, fungi, and mould. Severely damaged shingles are often a sign that you need to replace your roof. Ultimately, roofing contractors are best suited to determining the state of your roof and whether a simple cleaning or some repair work will be sufficient. Once you start to notice signs of damage, call your roofer and have your roof inspected. Whatever you do, your goal should always be to maintain the overall condition of your roof and roofing materials.